Forex Trading in a lay man's terms is the is the speculation on the price of one currency against another. For example, if one thinks the pound is going to rise against the U.S. dollar, you can buy the GDP USD currency pair low and then hope to sell it at a higher price to make a profit. 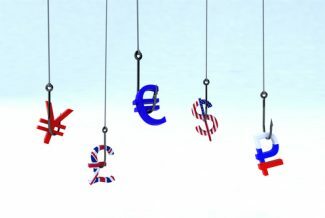 However be prepared that when you buy the pound against the dollar and the U.S. dollar strengthens, you will end up making a loss on that trade and this explains the whole idea about speculative trading. One of the key elements behind forex’s popularity is the fact that forex markets are open 24-hours a day from Sunday evening through to Friday night. Trading follows the clock, opening on Monday morning in Wellington, New Zealand, moving on to Asian trade then to Tokyo and Singapore, before moving to London and closing on Friday evening in New York. The fact that prices are available to trade 24 hours a day helps traders to place their trades at their preferred time of the day or night. Trading in between different market openings is controlled in a way that when a price jumps from one level to the next without trading in between, it is less and this is referred to as gapping. Many traders are who have had a few months or years trading are able to watch and follow the markets of interest and are therefore able to place trades based on what they hope to make them the highest earnings. It's always a good idea to keep in mind that trading is not only about making profit, at times losses are likely to be made and it's advisable to be ready for these moments. Forex Trading can be enjoyable once you have the tricks and tips of trading profitably.